Moroccan Style Slow Cooker Tagine. I went to Marrakech for Christmas a few years ago. I don’t think we had a bad meal the whole time we were there. Each dish was so wonderfully spiced and fragrant, yet not overpowering. This dish reminds me of that holiday. Oh for some sun, sat on a roof terrace, drinking Moroccan mint tea! 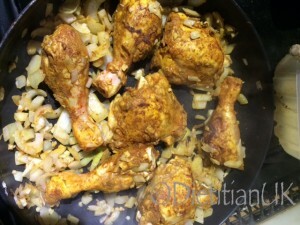 I marinaded the chicken overnight, you could probably get away with just toasted the spices in the pan with the chicken, but marinade if you can. I think it enhances the flavour and it always heighten the anticipation of the meal for me. I love playing around with spices. As a child I loved it when my mum got out her silver spice tin, all those small pots filled with fragrant, colourfulness. I was even more excited when I got my own spice tin! Moroccan spices blends tend to include: ginger, cinnamon, corainder, allspice, pepper, tumeric, cumin and paprika. Sometimes saffron, cardomon, nutmeg and star anise. The Morrocan spice stalls are amazing! Make your own blend up and try it out. 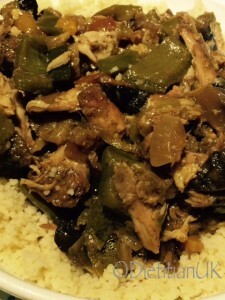 Morrocan Style Slow Cooker Tagine. 600-750g chicken thighs/drumticks - remove the skin. 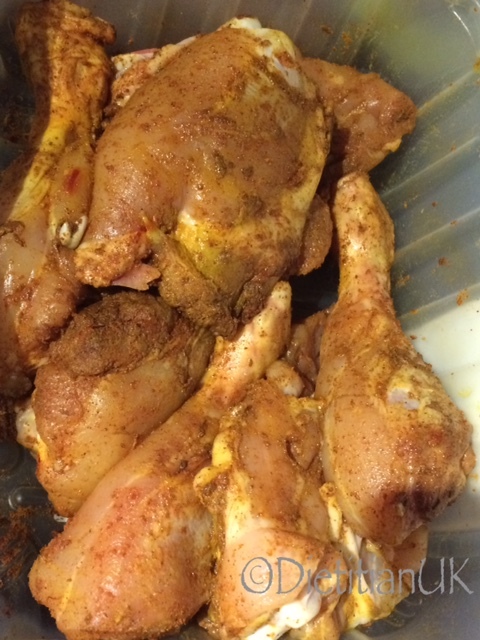 Mix the spices and rub into the skinless chicken. Cover and leave in the fridge overnight. Chop 2 onions and 4 cloves of garlic (I also left this in the fridge overnight to save time the next day). Cook the onion and garlic in the oil, add 6 cloves. Now add the chicken and brown all over. 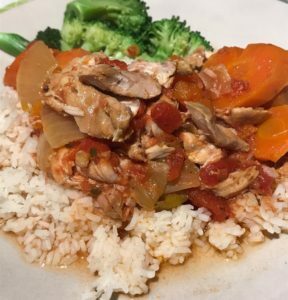 Place in the slow cooker pot and top with chopped vegetables of your choice. I used peppers, cherry tomatoes and mushrooms. Cook on high for 5-8 hours or on low if you are leaving it for longer due to the amount of liquid. Stir and serve on a bed of couscous. Remove the bones if serving small children. How to Eat to Keep Warm! It’s that time of year when the weather is getting decidedly more chilly and the light is fading earlier. All of a sudden it’s time to switch from the summery salads to winter stews. The kettle is on more and the biscuit tin beckons. But how do you eat healthily yet still enjoy those winter foods? Porridge is a great start to the day. Try adding different fruit, a sprinkle of seeds or some chopped nuts for variety. Alternatively try scrambled eggs and grilled tomatoes with toast. 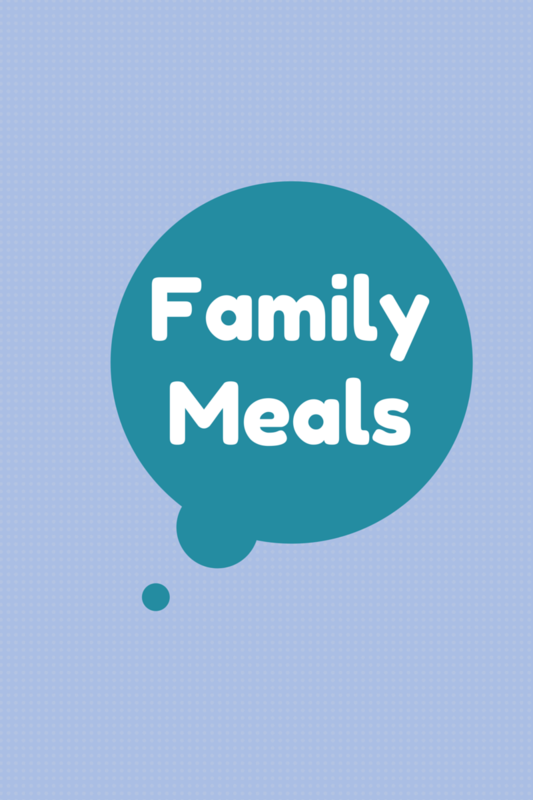 Include something warming and satisfying at lunch, try a vegetable based soup, baked beans on toast or an omelette. Although tea and coffee can warm you up it should be limited to 4 cups a day. Try hot squash, herbal or fruit tea or even hot water with a slice of lemon instead. Winter stews and casseroles are delicious. Try using a slow cooker, pop it on in the morning and dinner will be ready by tea time. Include plenty of vegetables and add a couple of handfuls of lentils or beans/pulses to reduce the amount of meat you use. Bean and pulses are low in fat, have a low glycaemic index and contain plenty of fibre, so are a great weight loss aid. Keep Active. Getting up and moving around more will get the blood pumping around the body and so warm you up. Plan some activity into your day and keep moving whenever you can. 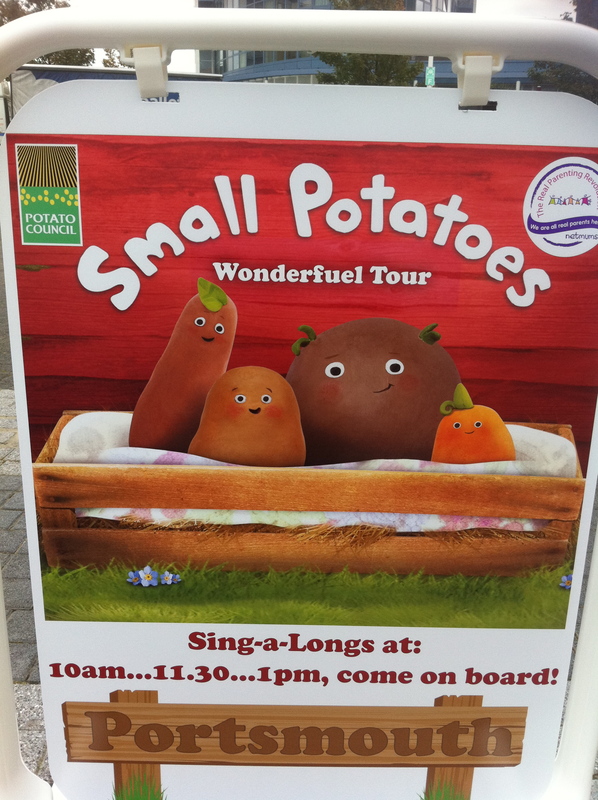 I’ve been working with the Potato Council recently doing parent and toddler roadshows with the Small Potatoes. For those of you up on Cbeebies you’ll know all about the “Small Potatoes”. These potatoes like to sing and dance…. so that’s exactly what I have been doing too! Songs include “Small Potato Rock”, “Potato Love” and the “Potato Train”. No laughing now, this is serious stuff. 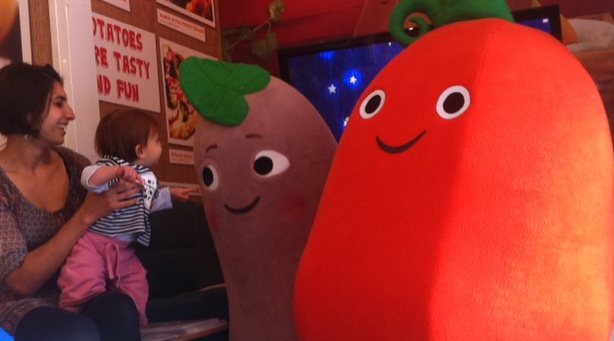 It’s been a lot of fun watching excited toddlers hug the potato characters, judging colouring competitions and talking to mums about healthy eating and family meals. It’s also shown me how needed this type of thing is, the mums had loads of great questions and were dying to get recipes, meal planners and tips. My little one meets the "Small Potatoes" who are rather larger than her! Place the potatoes in a saucepan and cover with cold water. Bring to the boil and simmer for 15-20 minutes until tender. Drain. Meanwhile, heat the oil in a frying pan and add the mustard seeds, let them pop for a couple of minutes then add the onion and garlic, saute. Add the tumeric, cumin and coriander plus a little chilli if wanted, cook 2 minutes. Stir in the chopped tomatoes and potatoes, plus spinach and cook for 2-3 minutes. Alternatively….cook the spices in the oil, and add the potatoes, after a couple of minutes add the rest of the vegetables, plus the chopped tomatoes and half a tin of water. Stir and leave to simmer for 5 minutes. Add the tomato puree, star anise chick peas and dried apricots and simmer for 10 minutes. So what are your favourite potato recipes? Let me know by commenting below. 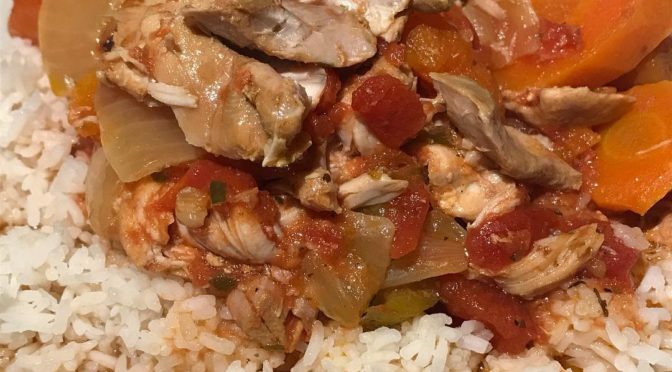 The Art of lazy cooking…by the slow cooker. I love my slow cooker. Fact. It’s one of my fav kitchen gadgets, along with my food processor, bread machine and the kettle. Shows I’m pretty lazy doesn’t it! I’d love to have the time to mix everything by hand, make bread by hand and boil water in a pretty singing kettle on the hob, but in my whirlwind life it just isn’t going to happen. So I cheat…pretty much all the time. Today I fancied cooking a heathy stew full of beans, lentils, veggies and chicken. Now I’m looking after an active baby, running pilates classes, teaching step aerobics and writing a diet sheet today, not much time to cook. So my solution was to get out the slow cooker. This is what we do…raid the cupboards and veggie rack, chop things nice and chunky, throw it all in and switch it on 🙂 Today we have chicken thighs, chunky bacon bits, carrots, squash and mixed beans and pulses all with some chopped tomatoes, fennel, mustard seeds and balsamic vinegar plus a star anise. Towards the end of cooking I’ll add a handful of fresh herbs and serve with mashed potatoes as its potato season in our house. Give it a go, the house will smell lovely, the food will taste great and it’s all healthy stuff.